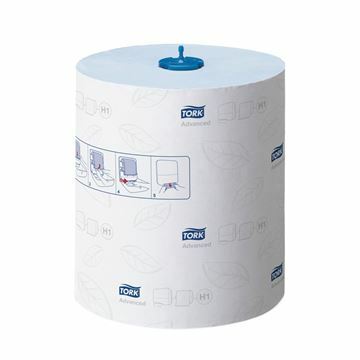 Great for image washrooms, the premium Tork Matic® hand towel rolls are soft with a nice blue leaf décor embossing. 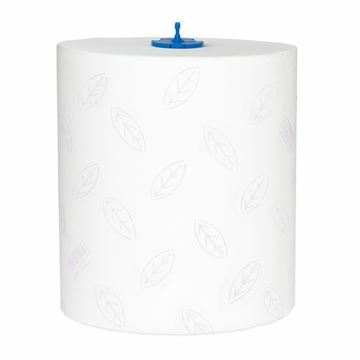 It dries hands quickly and thoroughly thanks to the QuickDry™ feature. 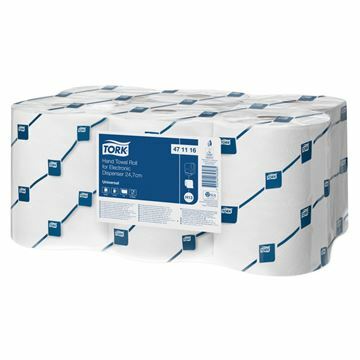 Comfort your guests with the soft advanced Tork Matic® hand towel roll. 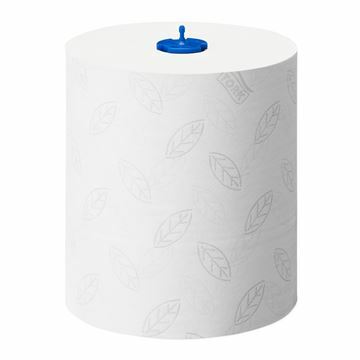 It gives a good hand drying and has a nice grey leaf décor embossing. 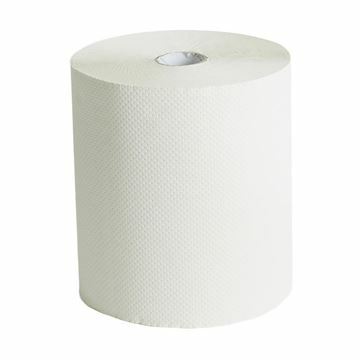 1 ply white embossed roller towel - 150m. 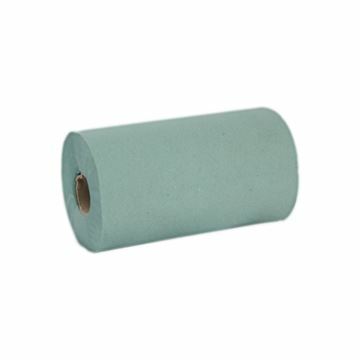 1 ply green continuous roll towels are suitable for use in hygiene conscious environments. 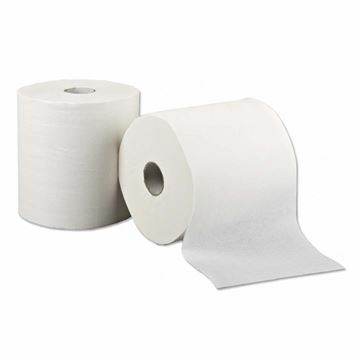 1 ply white embossed roll towel - 200m.